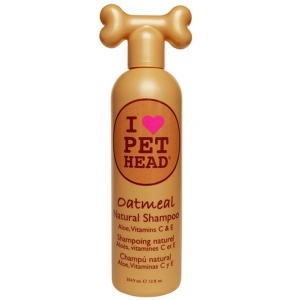 Pet Head Oatmeal dog shampoo. Comfort for your dog. Natural shampoo blended with oatmeal, aloe vera and vitamins E & C. Heals and protects sensitive skin. Jojoba oil and oatmeal work together to moisturise the skin and soften the coat.